This revolutionary medical discovery is now taught at some major Universities worldwide, practiced at some hospitals and clinics and recognized by mayor medical institutions and governments as part of their health care programs. This system consists on the recognition of altered energy points in the human body which can cause disease or illness. This recognition is carried out with passive magnets (not electrified or connected to electronic machines) which are applied in specific areas of the body as part of the Bioenergetic scanning. Once these specific areas or points are recognized and confirmed in it's energy potential, which corresponds mostly to organs and tissues that suffer distortion, the Biomagnetism Therapist applies sets of magnets by pairs, always one positive polarity and the other negative polarity, for 15 - 20 minutes. The disease is located in the organ and/or tissue imbalance between positive and negative charges. If the ionic disturbance is corrected, the problem disappears, since it returns to it's balanced point. Biomagnetism takes care of this, due to it's polarity force or power. Negative polarity is capable of impacting a similar pathological load, which will be cancelled when it meets the positive charge. Biomagnetism studies, detects, classifies, measures and corrects the fundamental alterations of the pH of living organisms. When the pH is balanced, it immediately regulates and corrects the infectious pathology. This new therapeutic criteria is able to identify the origin of viral,bacterial, parasite and fungal diseases, as well as glandular dysfunctions. A Biomagnetic Pair (BMP) is created when there are 2 specific areas in the body that are energetically connected and resonate with each other, one is positive-acidic the other negative-alkaline. Dr Isaac Goiz Duran, MD discovered that viruses and fungus have a symbiotic relationship as well as bacteria do with parasites. Also bacteria and viruses resonate with each other which causes illness, being one of them pathogen and the other non pathogen depending of the specific illness. Bacteria and parasites live and grow in an alkaline environment while viruses and fungus live and grow in an acidic environment. 1-Regular BMP's identify pathogenic microorganisms whether they are virus, bacteria, fungi or parasites. 2-Special BMP's identify tissue alteration not supported by pathogenic microorganisms. 3-Dysfunctional BMP's are the ones that affect glands and hormonal production. 4-Reservoir BMP's identify organs or tissue which support potentially pathogenic microorganisms and can keep them in reserve for an indefinite time, until some alteration in the body triggers it sending them to its specific location..
Biomagnetism or Biomagnetic Pair Therapy is a new revolutionary, scientific and therapeutic approach to healing that differs from Traditional Medicine, Homeopathy, Herbs and Naturopathy. It is also a Therapy free of side effects, perfectly compatible with any other traditional or alternative practice. For more detailed information, please scroll down the page, thanks! Dr. Isaac Goiz and Helena Guerrero, Certified Biomagnetism Therapist Levels 1 & 2. At the 90th International Biomagnetism Seminar in Mexico City. 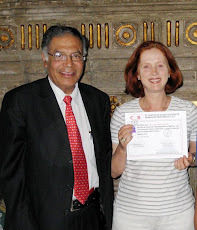 Helena Guerrero has been Certified to provide BioMagnetism Therapy by the El Centro de Investigacion de Biomagnetismo Medico, S.C.in Mexico, The University of Chapingo, Mexico and by Dr. Isaac Goiz Duran. She is not a Medical Doctor, she is not making a medical diagnosis or providing medical advice or care. You should see a Medical Doctor for medical care, and you should view BioMagnetism Therapy care as additional therapy to the medical care provided by a Medical Doctor. Biomagnetism Therapy is never a substitute for Physician consultation, evaluation, or treatment. 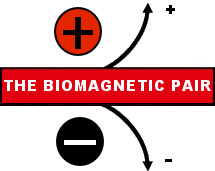 Biomagnetism Therapy consists on applying medium intensity magnets between 1000- 15 000 gauss in specific areas of the body in order to help balance energetically the pH levels, of Alkalinity and Acidity in the body. The following testimonials were provided by individuals who have experienced Biomagnetism Therapy. No form of compensation has been given in exchange for their testimonies, and their content are solely the expressions and experiences of each individual. Greetings Helena, I wanted to thank you for the sessions. I definitely had a strong detox, but I am feeling much better today... I am actually blown away by what biomagnetism can do. I wish you lived here!!! I would encourage everyone I know to see you. After months of battling parasites with herbs and Western medicine with no real success, a friend recommended biomagnetism. After two sessions with Helena, most of my symptoms disappeared. Helena not only cleared parasites, but also cleared viruses and bacteria which were draining my life force. I feel stronger and clearer than I've felt in a very long time. I'm so grateful for this powerful healing modality. PS: I am in Florida at the moment, en-route to NY, and am feeling stronger and stronger everyday. Helena, I wanted to write to you to thank you for taking so much time away from your practice to treat all of us here in the Deep South. Your treatments gave me the first complete relief from pain that I have had in longer than I can remember. It may be eight years since I first started having pain from Lyme disease and three of its co-infections. I have been on steroids at three times the normal dose for years and have taken, periodically, narcotic pain medication, so long that I now have a tolerance to it. The magnets took all the pain out of my body after the second treatment; that pain was in my entire body from my teeth to the tops of my feet. I could feel that pain deep in my body, as if it was radiating from my bones. It was gone after I got off the table at that second treatment. If you do not return soon, I will be in California to get more treatment from you as soon as I can. The long term, severe pain which I have endured had never really been helped by any medication and, having to endure it for years in a row, every day, has a bad effect on a me psychologically. I had modified my lifestyle to avoid many normal activities in which I used to engage because I knew that the pain would not allow me to do those activities. It became depressing when I used to have an active life with my horses and my German Shepherd dog and the pain caused be to have to stop riding and working with my dog. The relief from the pain, has allowed me to do more things. I noticed that, after the second session, all my joint pain was gone, but it took the muscles around all those joints several days to relax and then they slowly let go of the grasp they had on the joints and there was no pain. After that second session, I was able to do a simple task which I had become unable to do for years. I was able to go to the grocery store for about an hour. I am trying to maintain an alkaline state in my body because I believe that the alkalizing done by the magnets reversed some very extreme acidity in my body. Acidity has been an extreme problem for me and I can tell that maintaining an alkaline state in my body is essential to blocking the pain. 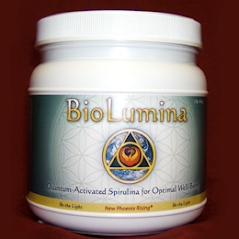 I am also using the BioLumina spirulina product and I am putting it in fruit and plain yogurt smoothies. Thank you again for bringing your skills and your magnets here to treat us. We want you to come back. My friend, Detri, has had the most incredible outcome of anyone. She had six sessions and everything is gone - she had many of the potential 200-300 symptoms of Lyme disease. When she realized that all of it was gone, she was very emotional about it. Detri, my sister Alison and I all have benefited greatly and we do thank you so much for making the arrangements to come here. Come back, please!! Rebeca Williams, Birmingham, AL. Thanks again for giving Billy a treatment. Its kinda difficult to tell how much it improved his autism because he's such a quite kid. But he hasn't had any temper tantrums since the treatment. He use to get upset when he was tired and misinterpret what was said to him. Like I said he could go outside if he got on his shoes. If I didnt say just "Yes", he'd misinterpret what I would say, and think I was saying no. He hasnt misinterpreted anything I said since the treatment. Then he use to get upset with his brother when he was tired and cry and went to his room and shut the door. He hasn't done that either. These kinds of things use to happen every other day. Now they stopped. Our son was diagnosed "severe speech delay" at age 3. He also had attention and digestive problems. We worked with different doctors for over five years and he made good progress, but some of his speech and attention problems never cleared up completely. After the first session with you, he came out of your place looking much more relaxed and talking non stop all the way back home! His words are flowing normally. He seems eager to communicate and started engaging in long conversations. Before, he would get overwhelmed if I tried to engage with him for more than three minutes. Even his teacher commented how well our son was socializing! My younger son used to complained that his older brother never plays with him now he's happy as he plays with him ferequently! Thank you Helena, with your therapy we have seen amazing improvements in just one hour! We plan to continue visiting you and look forward to soon see our son free of symptoms! Helena, I have to say that I am truly amazed at the results from your treatment. I was sceptical since I have seen so many healers and doctors. All of the chronic fatigue, muscle pain, migrains, breathing difficulty, as well as the other random infections I used to suffer from chronically have dissapeared. My menstual cycle has gone back to its normal cycle and I can even eat things that used to cause me headaches and indigestion. The energy I feel is so incredible! I feel like what any healthy person my age must feel like. It has been 8 years however that I have been living the lifestyle of an old woman in order to deal with the chronic fatigue/fibromialgia. I feel so free now! The energy just continues too, it does not drop off at the slightest change in my life which is what has happened to me w other therapies. Thank you so much. I will continue to send clients your way. Iris Campion 27 years,Clinical Ayurvedic Specialist and Certified Yoga Teacher, Oakland. Helena: In just one treatment my ulcer is completely healed. I don't take any of the medication I use to before. I can eat everything now without pain or disconfort, foods I could not eat before. I can drink coffe, wine and eat onions and other strong foods without a problem. Thank you. I had some blood test done between end February and March 2010( just after the first 2 treatments) the alkaline phosphates went from 248 to 105. Albumen from 4,2 to 4,8 indicating there is no metastasis,cancerc cells can not exist in that enviroment, over 4,5. The type II Diabetes that I had for 10 years is in normal range now too and my gout seems fine. My GP, Dr. Ted Edwards wants to meet with you today to see how more of that kind of treatment can be made available here in Austin. He is a strong believer in integrated medicine to cure, not just treat patients. My chiropractor, Dr Gary Seghi and my MD doctor who practices holistic integrated medicine Dr Ted Edwards are very interested in what I am doing. I would not have mentioned what I am doing if I thought they were not fully in tune with alternative healing. They would love to chat with you while you are here if you are willing. They both strongly believe in energy healing. Both are very glad Shirley and I am doing your treatments. Dearest Helena: Please, forgive me for taking so long to send you this note, but now I'm writting it with my deepest gratitude from the bottom of my heart. After seeing you in California, once back home I went to my regular check up for the illness I've been suffering for the last 6 years, Multiple Sclerosis. This disease is incurable, progresive and agresive, science has no explanation about what causes it. After trying several alternative treatments with no success and just giving up any hope, I saw on TV some information about this therapy with magnets, the Biomagnetic Pair Therapy or Biomagnetism. This filled my heart with hope again and after contacting you I went to visit you for 3 Biomagnetism treatments. When I came back home to see my Doctor, who is the Director of the Neurological Department of the George Washington Hospital, he was totally amazed and surprised and happy for me to find some amazing and unexpected results. After all the regular tests, including the MRI , my brain no longer had any traces of Multiple Sclerosis, the 15 spots that p reviously showed up, have totally dissapeared, they are no longer on my brain. All the tests that the Neurosurgeon did like foot reflexes, arms and legs strengh, concentration, vision, headaches which would stay with me all day, my hearing, stability and balance walking on the tip of my toes were perfect, 100% acceptable. The pain and numbness in my arms are gone, mi incontinence has greatly improved up to 80%, also my libido is back to normal, thank God!, because that was causing problems in my relationship. The Doctor told me that this check has surpassed all the tests from last year, all tests came out clear, clean, I don't have anything that I had before. I was so happy to see these results as well as my family is too. The neurosurgeon told me that of the 2000 patients he has, I am the only one who has had Biomagnetism treatments and the only one whose tests have come clean with such improvements on my health. He said I could now wait a year to come back for a check up, instead of the usual every 6 months. I'm planning on visiting you next year for a follow up treatment, the Neurosurgeon greatly advice me to keep on with the Biomagnetism treatments. 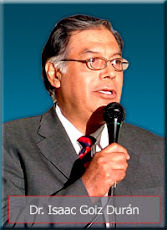 May God bless you and may He bless Dr. Goiz Duran for discovering the Biomagnetic Pair Therapy. I'm very happy to tell you about these great news. After being treated by you with Biomagnetism and been diagnosed with Non- small Cell Angio-Carcinoma Stage 3 A Lung Cancer I went back to my Doctor and the PT Scan and other test shows that there is no more cancer. The 3 nodules I had in my right lung are not there anymore and some nodules in my left adrenals and lymph nodes and the metastasis have also cleared. My daughter who is 17 years old was diagnosed a few months ago with Mononucleosis,an enlarged Liver, Hepatitis, Jaundice and her Gall Bladder was ceasing to function. The Doctor wanted to remove her Gall Bladder. She got a few Biomagnetism sessions with Helena Guerrero. After just the first session, her Jaundice went away and her skin tone became normal. After a few treatments all her symptoms dissapeared and she did not have the Gall Bladder operation and her Liver and Gall Baldder are fine now. The Mononucleosis is gone too. Helena: I want to let you know that 12 months ago when my son Diego, 4 years old, had some evaluations and studies done on him, he was diagnosed in the first one with 4 Autism symptoms and a little slow learning problems, on the second one: 7 Autism symptoms and slow learning disorder. On both evaluations he had language problems and also the muscular strengh in his right feet and right hand is very weak. I was actually researching all the information available that will help my son's health. Last September 26, 2009 after you applied the magnets on him with Biomagnetism I saw inmediate results. My son left the session very relaxed, now he has a very friendly character, he is trying to repeat many different words, he's trying to start conversations with family members, he understands and obeys when I tell him something; when I ask him a question now, he listens, thinks and answers adequately. When he runs now he can put his whole right foot on the floor and he is integrating himself in the family children group... Now he's even trying to brush his teeth by himself and believe me, brushing his teeth used to be a big problem. So thank you so much for your help and I will keep on taking him there for his Biomagnetism treatments because it's really working. Thank you so much and I'll see you soon. 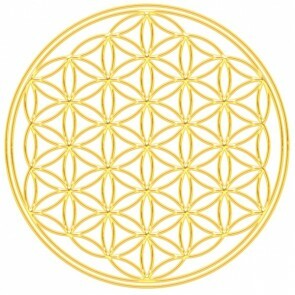 Update 12/26/09: the therapists who come home to give special classes to my son have told me that he no longer needs them. They recomended that he starts going to regular school now. They are really amazed about his improvement. Hello Helena: I want to thank you for treating Jane last Monday. We feel very fortune to have a friend with such healing potentials. The cronic pain from her back and shoulder is gone. The pain in her heel is also gone and the swelling is gone down a lot, she can now wear regular shoes again plus she can stand for a long time which she could not before without being in pain. Her hot flashes and Menopausal symptons are gone. She feels more balanced and focus. Her insomnia is getting better. I had very good feeling in your house, during her treatment and thereafter the next day I felt this comfortable assuring peace, knowing her healing is happening. We would like to schedule an appointment for both of us. Eventually we would like to get our sons to see you for a treatment, we will talk about that. Hi Helena: I must tell you that I left your sessions today feeling really uplifted - lighter, happier, more positive. I have to believe that it was the treatments and zapping those buggers out of my system! This is saying a lot - because I rarely have had this reaction after treatment of any kind: Western Medical, Alternative, Eastern...So, many thanks! I just wanted to share this with you... Diana Kadah Tanaka. Hello: I feel really good today after my treatment with the magnets, the pain in my joints and in my bones in the arms and feet are gone. When I wake up in the morning I feel rested and like a new person. The pain in my breasts is gone, I don't have any pain in my shoulders anymore and my libido is back ! great!!! I don't feel stressed out anymore and I'm more patient with my family and the most important thing is that I don't need to take my medication . The sessions with the magnets are now a part of my life; this type of Alternative Medicine it's great. Thanks Helena! Att: Martha Gutierrez. I worked in construction at the age of 16. By the time I was 18 I started to develop lower back problems due to heavy lifting. I would wake up to a stiff back and even after stretching it would hurt for most of the day. My parents introduced me to Helena Guerrero, a Biomagnetic Therapist. I did a session with her. It took about an hour and a half. The next day my back felt like I was 16 years old again. My back pain that I had for years went away right after the session. Amazing! Thanks Helena. Hi Helena: I felt the treatment was relaxing, and felt that there was more circulation in my body. My husband had mentioned to me that he noticed that my tremors or shakey head isn't as bad lately, in thinking back it was due to the magnetic therapy. I've inherited essential tremors from my mother's side of the family, and in the past years have noticed that when I'm stressed my head shakes, I do not feel it as much now. I'd like to setup another appointment for a recheck if possible. It did also inspire me to focus more on my health and then I did the Forever Living Cleanse. I've lost about 7 lbs, and managing to avoid sugar and junk food. The Biomagnetism treatment put me in the right path towards wanting to eat better and stay healtier. I do feel better with less weight. It's hard to pinpoint exactly, the Biomagnet treatment made me feel better, and the combined and I owe it to you to set me in motion. Hello Helena: I have to share with you that for myself I can say that the early morning coughs, congestion in my upper respiratory organs, phlems and disconfort I've been suffering from for over 20 years every morning when I wake up are gone after the treatment. My son's cronic back pain that he had for almost 15 years has completeley dissapeared right after the treatment. I had diarrea for 7 days and anything I ate made me sick. I've been consistently ill with stomach and intestinal problems for the past 2 months, and on and off more so for the last 8 years. It all dissapeared right after the treatment. I've been many times to the doctor, taking different kind of antibiotics each one stronger than the last one and it did not help the problem, it would come back after I stopped taking the medication. I just couldn't go like that anymore. My friend told me about the improvement of her mom with Biomagnetism and I decided to give it a try. I'm glad I did. Hi Helena: My name is Dr.Matthew Buckley, I'm here in Austin, TX. You just treated one of my patients and I was very impressed with the things I've seen with her transformation regarding Parasites, so I will like to talk to you a little bit about this work if you don't mind and possible schedule an appointment for myself. BioLumina: Nature's most perfect food ~ now even better!What Makes BioLumina unique? 1-Quantum Fusion: BioLumina is Quantum Infused with specific energy patterns which promote and sustain optimal health and balance in the body systems. 3- Better than Organic There are no pesticides, GMO ingredients, or synthetic ingredients. Low temperature air drying. I't alive! *Miembro de Honor de la Asociación Nacional de Medicina Cuántica Neurociencias y Bioenergética, Barcelona, España, 1999. Corresponsal Diplomático de la Organización Mundial Naturópatas, Roma, Italia, 1999. *Doctor en Biomagnetismo Médico, Ph.D, New Sciences, University of América, México, 2000. He also has an active practice in Mexico City. 1. Quantum Fusion BioLumina is Quantum Infused with specific energy patterns which promote and sustain optimal health and balance in the body systems. The energy patterns are specifically chosen to enhance well being on all levels and in all bodies, energetic as well as physical. Quantum Infused™ products st...imulate the flow of energy in the body’s energetic system, which works like a “software program” to support the body’s natural ability to regulate its many functions. Energetic effects refer to changes in the body’s subtle energy system, which can affect the body. 2. High Phycocyanin Content Most Spirulina today contains about 10% Phycocyanin content or less. BioLumina contains 20% or more Phycocyanin content! Phycocyanin is the blue pigment in Spirulina and is one of the most potent naturally occurring antioxidants known. It is one of many important components of BioLumina and one of the most important. You can tell BioLumina (which is higher in Phycocyanin) from other Spirulina products by it's intensely dark blue color.